Hayward’s AquaVac QC features on board technology that has been tested in our industry for over 20 years – a true testimony to its outstanding performance and track record. During its 90 minute or 3 hour programmed cycle – you choose! – it uses an easy-to-clean reinforced cartridge element system catching more debris than any sand filter. 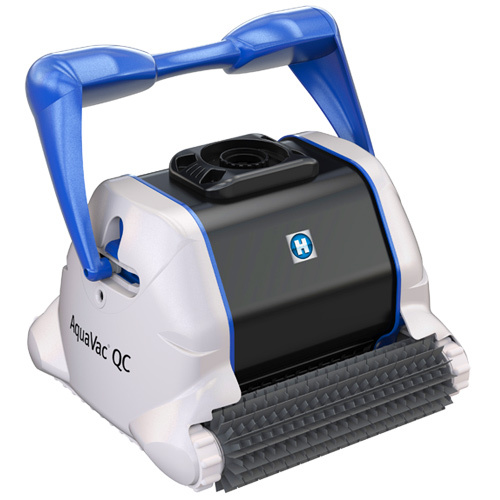 Once its cleaning cycle is complete, the Aqua Vac QC is equipped with a convenient auto shut-off function to tell the system to automatically power down after its cleaning cycle. Cleanup is easy with the patented filter cartridge system – just remove and rinse with a garden hose. Thanks to its ultralight weight and quick water release, the Maytronics Dolphin Active 20 is easy to handle. The Maytronics Dolphin Active 20’s filtration options capture rough debris or fine dirt to leave your pool floor, walls and waterline sparkling clean.